Practical New York expert advice on nonprofit incorporation, applying for local and federal tax exempt status, fundraising, reporting requirements, and much more. 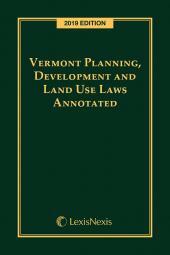 The sweeping changes effectuated by New York's Non-Profit Revitalization Act, as amended, have been fully integrated into this new edition. Organizing and operating a New York nonprofit organization requires a three-dimensional planning process to ensure that its activities comply with all federal, state, and local laws. 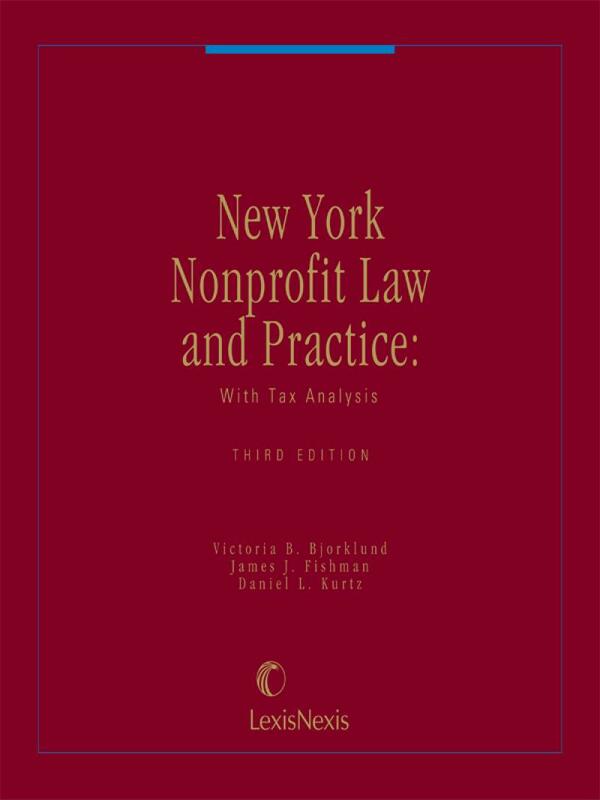 New York Nonprofit Law and Practice with Tax Analysis, written by leading experts, is an authoritative reference that helps you navigate nearly every aspect of nonprofit law in New York. 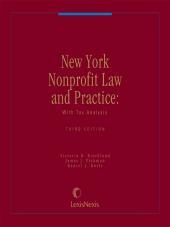 The sweeping changes effectuated by New York's Non-Profit Revitalization Act, as amended, have been fully integrated into this new edition. Don't be without this essential guide the next time you advise a nonprofit client. Victoria B. Bjorklund is Of Counsel to Simpson Thacher & Bartlett LLP where she founded and headed the firm's Exempt Organizations Group, which advises public charities, private foundations, boards, and donors. 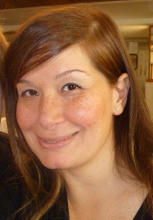 Ms Bjorklund speaks and writes frequently on exempt-organization subjects, including her white paper, "Choosing Among Private Foundations, Supporting Organizations, and Donor-Advised Funds", available at http://www.stblaw.com. Most recently she co-authored, with Harvey P. Dale, Jennifer I. Reynoso, and Jillian P. Diamant, Evolution, Not Revolution: A Legislative History of the New York Prudent Management of Institutional Funds Act, 17 N.YU. J. Legis. & Pub. Pol'y 377 (Spring 2014). She teaches The Law of Nonprofit Organizations at Harvard Law School. Ms. Bjorklund served on New York State's Attorney General Eric T. Schneiderman's Leadership Committee on Nonprofit Revitalization. From 2000-2005, Victoria served as one of six exempt-organization members on the IRS's Tax Exempt / Government Entities Advisory Committee (ACT), and as Chair in 2004-2005. In 2005, she received the IRS Tax Exempt Division Commissioner's Award for "ground-breaking service" to the ACT. In 2012, she received the Vanguard Award for Lifetime Achievement and Commitment to Nonprofit Law from the American Bar Association's Business Law Section, recognizing her distinguished lifetime achievement and role in development of the field of nonprofit law. Victoria chaired the ABA Tax Section Committee on Exempt Organizations from 2000-2002 and has since served as Co-Chair of the Subcommittee on International Philanthropy. She was honored in 2002 as the ABA Tax Section "Pro Bono Lawyer of the Year" in recognition of her 9/11 work. She was also honored by The Nonprofit Coordinating Committee of New York City and Lawyers Alliance of New York, Inc. for her leadership after 9/11. In 2003, she received the the highest honor the Commissioner of Internal Revenue can bestow, for her "timely, creative and nimble response to 9/11's unprecedented legal challenges." Since 1989, Ms Bjorklund has served as a director, secretary, pro bonoI legal counsel, and advisor for Doctors Without Borders. She is also a director of the Robin Hood oundation, where she chairs the Robin Hood Relief Fund. She is a director of the American Friends of the Louvre, the Louvre Endowment, Friends of Fondation de France, the Institute for Advanced Study in Princeton, Princeton University, Nutrition Science Initative (NuSI), and the Lawyers' Committee for Civil Rights Under Law. Daniel L. Kurtz, a partner at Davis, Right Tremaine LLP and co-chair of the firm's Tax Exempt Organizations practice, has a national reputation for providing full range of needs of his nonprofit clients. He advises clients on corporate and governance issues; sponsorship and charitable fundraising opportunities; endowment administration and investment; indemnification; charitable solicitation laws, a full range of exempt organization tax issues and regularly handles business combinations and sophisticated reorganizations of all kinds. He has also conducted numerous internal investigations and litigation undertaken by civil enforcement and regulatory authorities, and he has played a key role in many groundbreaking cases in this area. Daniel Kurtz was a partner and head of the exempt organizations practice at Skadden Arps Slate Meagher & Flom LLP from 2008 through 2014. Prior to that, he had been partner at Holland and Knight LLP (2001-2008); Gilbert, Segall and Young LLP (1998-2001), and Lankenau Kovner Kurtz & Outten, LLP (1985-1998). From 1979 to 1985, he served as the New York State Assistant Attorney General-in-Charge of the New York Charities Bureau. Mr. Kurtz currently holds positions at a number of organizations, including serving as president of both The Spingold Foundation and the Manhattan Youth Recreation & Resources, and is a board member of other foundations and an affiliate of Bard College. He earned his A.B. from Brown University, and his J.D. from the University of Chicago Law School. James J. Fishman, a Professor of Law at the Pace University School of Law since 1978, has also served as Executive Director of the Council of New York Law Associates (since renamed The Lawyers Alliance for New York) and of Volunteer Lawyers for the Arts. Professor Fishman served on the Corporation Law Committee of the Association of the Bar of the City of New York. In addition, Professor Fishman was a member of the Fulbright Senior Specialist Panel. He has authored numerous books and articles concerning nonprofit law, including a casebook on nonprofit organizations and law review articles on nonprofit law, education, and international securities regulation. In 2010, Professor Fishman received the American Bar Association Business Law Section Nonprofit Organizations Committee's Outstanding Academic Award for " distinguished academic achievement contributing to the nonprofit sector through scholarly work." 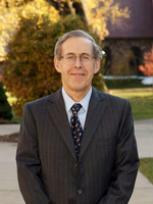 Professor Fishman teaches contracts, corporations, corporate finance, and nonprofit organizations. He received his J.D. and his Ph.D. from New York University. Karen Alinauskas has over twenty years of experience in the nonprofit and for-profit sectors. 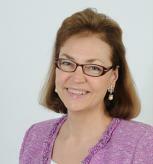 Throughout the years, she has provided, strategic, operating and legal advice to nonprofit organizations and individuals on matters including: the formation and recognition of exempt status of nonprofits; nonprofit governance and board relations; development; negotiation and drafting of major gift and grant agreements; corporate sponsorship; and charitable events. Since 2011, Karen has helped create, develop and teach two courses at Harvard Law School with Victoria Bjorklund: Workshop on Charities (2011) and The Law of Nonprofit Organizations (2012-2017). In addition to her work with nonprofits and her strong commitment to pro bono matters, she has devoted the rest of her practice to media/ entertainment/sports law matters, and general corporate/litigation matters.